"We were very pleased with our stay, price was very good and..."
Have a question for Lake Buena Vista Resort Village and Spa a Stay Sky Resort? "Pros: The room was clean, staff was pleasant, location is quiet and romantic, received an upgrade due to shortage of rooms." "The suites are so generous in size and have everything you n..."
Designed for both business and leisure travel, Lake Buena Vista Resort Village and Spa a Stay Sky is ideally situated in Lake Bryan; one of the city's most popular locales. The hotel is not too far from the city center: just away, and it normally takes about minutes to reach the airport. With its convenient location, the hotel offers easy access to the city's must-see destinations. Lake Buena Vista Resort Village and Spa a Stay Sky offers impeccable service and all the essential amenities to invigorate travelers. While lodging at this wonderful property, guests can enjoy free Wi-Fi in all rooms, 24-hour front desk, facilities for disabled guests, luggage storage, Wi-Fi in public areas. Step into one of 486 inviting rooms and escape the stresses of the day with a wide range of amenities such as television LCD/plasma screen, internet access – wireless (complimentary), whirlpool bathtub, non smoking rooms, air conditioning which can be found in some rooms. The hotel offers an excellent variety of recreational facilities, including hot tub, fitness center, sauna, golf course (within 3 km), outdoor pool. 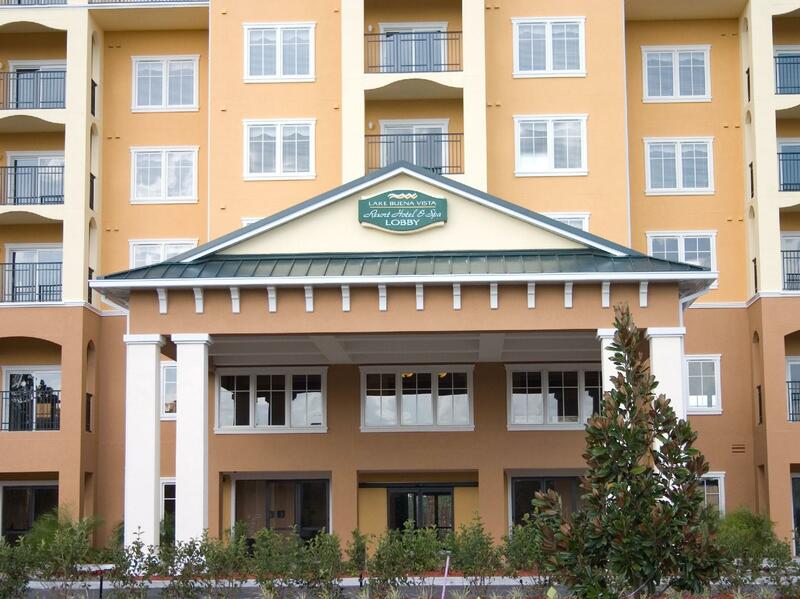 When you are looking for comfortable and convenient accommodations in Orlando (FL), make Lake Buena Vista Resort Village and Spa a Stay Sky your home away from home. "Love the space of the room." The room arrangement was excellent for families, lots of room, kitchen was great, dishwasher, and washer and dryer very nice to have when staying for awhile. The location was ideal for quick access to Disney World. Coming from -33C or -27.4 F in Feb, it was nice of the Hotel to arrange 30C all week! The youth loved the pool! And front office staff very friendly and helpful! Parking was a bit tough if arriving back later at night from the Parks. Even though I booked two months in advance, they put us in a handicap room that had no door between the master bathroom and bedroom so the toilet was literally facing the bed. They wouldn’t switch us so not the most comfortable resort experience. There was also a couple having a huge fight all night we could hear right through the walls. Otherwise, it was a good value for a spacious (not fancy) suite. The size of the suites more than served our needs! My granddaughter loved the pool! The service was great and I am still surprised at how affordable it was!!! We will be back!!! Pros: Convenient to the parks and shopping. Plenty of space to spread out. The pool was great! In room washer and dryer came in handy to dry bathing suits before packing. Fully equipped kitchen Cons: Would have appreciated another pack of coffee. Not practical to buy coffee for coffee maker for just 2 mornings. Could never get anyone to answer the phone. 2 bedroom 2 bath villa is amazing. So much room for our family. The pool area is amazing with the pirate ship slide for kids they never wanted to leave. Would go back again and again. Just like staying in a villa but with the added benefits of hotel amenities. Travelling with 2 children under 3 we found the pool with a great kids area brilliant, the washer & dryer in our apartment was put to very good use almost daily & the Pizza Hut express on site was a godsend when arriving on the 1st night tired & hungry! The location was great too, we could drive to Disney within 10 minutes & only 20 minutes to Universal. Another great stay, this was our fourth visit and we were once again not disappointed with the accommodation. The suites are so generous in size and have everything you need during your stay. The location is great and having the outlet next door is an added bonus. Hopefully we will be back next year. First I must say that I am a very particular and clean person. I didn't like the fact that there is carpet in the rooms. The carpet in the hallway and in the rooms had a very bad odor and it was also very dirty. I would say the customer service was great especially Del at the front desk. The television in the rooms were very old, small and out dated. Although the rooms were clean, the carpet made it seems very dirty. The white sheets had black lint under the comforter and that was also disturbing. The second shower/tub water took forever to drain. Pros: The room was clean, staff was pleasant, location is quiet and romantic, received an upgrade due to shortage of rooms. Mini parking garage, kitchen fully equipped, good bang for your buck. Cons: Office manager was extremely conniving and disappointing. I booked the room for the jetted tub, which my significant other loves for his birthday. Tub was dirty the entire stay. Asked for tub to be cleaned several times during our stay. 10pm the night of our last stay, i visited the manager to see why the tub had not been cleamed yet. We really wanted to use it. He apologized for the inconvenience, and waived my resort fee (which I never paid), waived my incidental fee (which was being refunded upon checkout anyway), then proceeded to offer me a discount on my next stay (which was offered via email by general manager anyway). 11pm, I cleaned the tub myself! Will not recommend anyone to stay here. Extremely upset with management. This is our third time at this hotel and we love it. The suites are huge and has everything you need for a complete vacation. We tried the restaurant for the first time and it was quite good. I recommend the nachos. The only recommendation I have is to provide umbrellas in the rooms for rainy days. Love the space of the room. Wish I could have stayed longer. The unit had problems that were never resolved. The tv didn't work, the faucet in the tub ran non-stop and a burner on the stove didn't work. The staff delivered two cots to our room for some inexplicable reason, and after numerous calls, never removed them from the middle of the living room. Our cousins were a room below us, and our room looked like a palace compared to theirs. Their sofa was broken, they had no balcony and the a/c did not regulate at all. After repeated calls, no one came to make any repairs to their room either. Would not stay again.